Blurb: Isaac Childs has the perfect life—until that life comes crashing down when his wife Ramie vanishes. Hello fellow book nerds! I was lucky enough to be approached by the author to continue the Childs’ story with the next book in the series. This was done with audio again since that is how I completed the first book. I definitely enjoyed this book and thought it was a great end to the series. What’s your favorite family drama books? Please be aware that this is the second book in the series. If you have not read the first book there maybe spoilers. 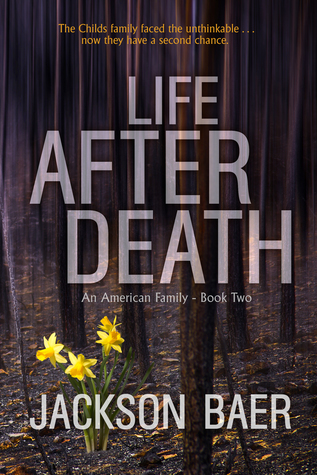 The review for Life After Death is spoiler free, as always. This was a different type of mystery/suspense novel, but one that I enjoyed. Diamond writes with a unique style that comforts you in one moment while shaking you in the next. What I enjoyed most was the fact that I didn’t know what was going to happen next. He kept me guessing, and the ending was another nice surprise. I gave it 4.5 stars and recommend this for anyone who likes suspense books with a bit of grit. Hi everyone. Happy November! New month, new tbr list 😍🙌🏽. My reading in October was actually really good! I read 5 books, for some of you thats probably not that much but I’m not very fast reader 😂😂. I could of probably read more but I was on holiday first 2 weeks of October and after that was back to reality aka WORK 😰😰 so there was so much stuff happening! Anyways I’m setting myself to read 5 books for this month so I won’t be disappointing myself like I did in September 🙄😬. Here are the books I can’t wait to read this month. Published date: 5th of November, 2018. The Childs family faced the unthinkable… now they have a second chance. Goodreads rating: 4.37 / 5. My review is so overdue… I received a copy of this from Jackson Baer himself. He found me on twitter and emailed me if I was interested in reading his book in return of an honest review. So here I am. I personally loved this book! 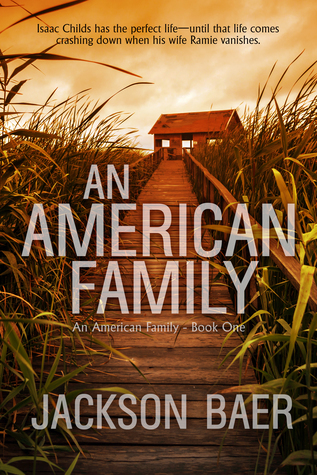 An American Family is a book series and I can’t wait to read the next one.